Through our new Marketing Concierge service, eligible ProPartners receive on-demand coverage, dedicated training and support by a Virtual Marketing Manager (vMM) available to customize content, execute campaigns and manage leads from the Veeam MarketReach platform. Generating demand for your Veeam business has never been so easy! 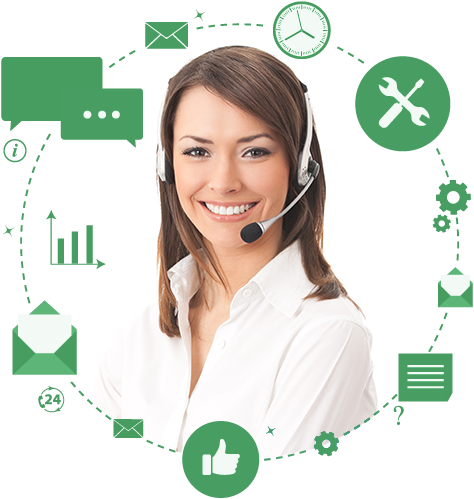 Schedule 1:1 Call Get help navigating the portal, customizing content and executing campaigns. Attend Live Training Attend a live demo training of all the content and tools available through VMR. Enjoy on-demand coverage and dedicated support from a Veeam Virtual Marketing Manager. vMM’s will assist you in a variety of marketing activities like executing campaigns, customizing content, activating social media campaigns, managing leads, and so much more. 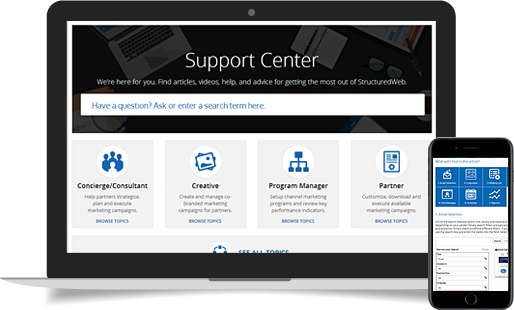 Plus, you’ll have access to a robust online support center, and in-platform tools to help you navigate the VRM portal. Generating demand for your Veeam business has never been so easy! 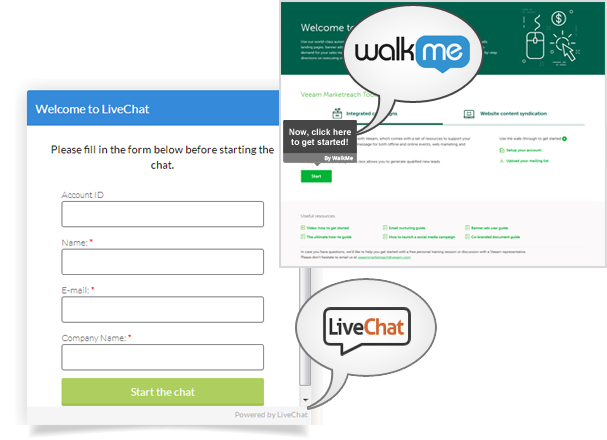 Interactive online features, like LiveChat coverage and WalkMe wizard guides, provide a user-friendly interface and instant, around the clock support to ensure your marketing is accomplished with quickness and ease. Access dozens of training videos and online support articles to get informed on best-practice digital marketing activities. The resource center provides a searchable library so you can easily find answers to any questions you have and get the most out of Veeam’s digital marketing offerings. At no time Veeam, or any other third party, able to access to your customer list, employees, leads and/or any other data ran through the platform. All of your data is kept 100% private and secure on our servers.